London: For the first time in British history, an interfaith GIWA Water Blessing Ceremony was performed at the House of Commons with prayers that all people, all over the world should have access to safe, sufficient water, sanitation and hygiene (WASH). The event also was organised to raise awareness of water scarcity across the globe, which has reached unprecedented dangerous levels. When Their Royal Highnesses Prince Charles and Duchess Camilla, came to India in November 2013, they visited the GIWA Secretariat of Parmarth Niketan Rishikesh (Himalayas), presided over by GIWA Co-Founder, Pujya Swami Chidanand Saraswatiji and performed a similar GIWA Water Blessings Ceremony on the banks of the River Ganges, offering prayers for improved access to clean and readily-available WASH across the world. The House of Commons event, organised by the Global Interfaith WASH Alliance, Ganga Action Parivar and Gurukul Parivar, saw representatives of nine faiths addressing a distinguished gathering of 300 people including royalty, lords, Members of Parliament and prominent leaders, who had gathered in this historic city for a common purpose to have access to pure and fresh water globally. The faith leaders gave inspiring, uplifting and compelling discourses on the importance of the protection and preservation of water. They highlighted the fact that water is truly the giver of life, and therefore considered sacred in all the world’s religious traditions. Pujya Swami Chidanand Saraswatiji, Co-founder of the Global Interfaith WASH Alliance Pujya Shastri Madhavpriyadas Swamiji, Head of the Gurukul Parivar and of the Swaminarayan Gurukul, Ahmedabad & Rajkot, Gujarat Reverend Rose Hudson – Chaplain to the Speaker of the House of Commons Bhai Mohinder Singh Ahluwalia – Guru Nanak Nishkam Sewak Jatha Birmingham Dr. Rusi K Dalal – Zoroastrian Leader Dr. Natubhai Shah – Jain Leader Reverend Mark Poulson – Christian Leader Venerable Dr Handupelpola Mahinda Nayaka – Buddhist Leader Sadhvi Bhagawati Saraswati – President of Divine Shakti Foundation Smt. 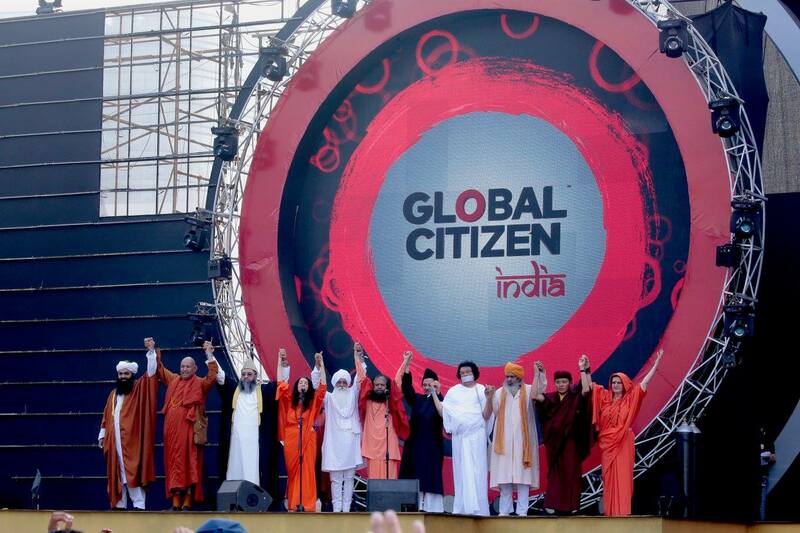 Kiran Bali – Chairman of the global United Religions Initiative.